Season 5 is finally here. We’ll be dropping new episodes each week, just stay tuned. This week we’re watching Teletubbies Episode: ‘This Way That Way’ – https://www.youtube.com/watch?v=aiG4JACmX3c. Be sure to watch with us! This episode is brought to you by Zero Water. For a special price, just for What Are We Watching viewers, click here: http://bit.do/ZeroWater. 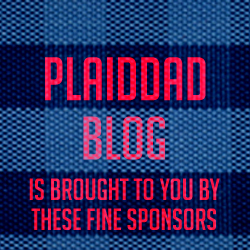 Be sure to check out PlaidDadBlog.com for more great episodes and videos, plus a BIG announcement coming next week! See more at http://WhatAreWeWatching.com and at http://PlaidDadBlog.com.